Urban Land Conservancy (ULC) celebrates the achievements of our partnerships that create and preserve nonprofit facilities and affordable housing for communities in metro Denver. 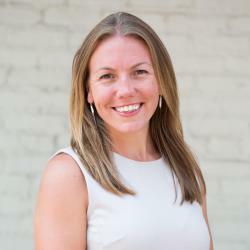 ULC’s Monthly Partner Spotlight is awarded to partners who demonstrate the value of collaboration, furthering our mission to improve the lives of Metro Denver residents through our real estate investments and community assets. Congratulations to our March 2019 Partner Spotlight of the Month: Cultivando! According to the Pew Research Center, there are more than one million Latinx residents living in Colorado, equating to 22 percent of the state’s total population. Colorado’s Latinx population faces significant barriers to quality education, with one of the largest attainment gaps in the country. A study conducted by Georgetown University in 2018 showed that only 29 percent of eligible Latinx residents have completed either a high school degree (or equivalent), associate’s degree, bachelor’s degree or higher compared with 64 percent of Caucasian residents. This is just one of the many social barriers Latinxs face, which is where mission minded organizations like Cultivando come in. 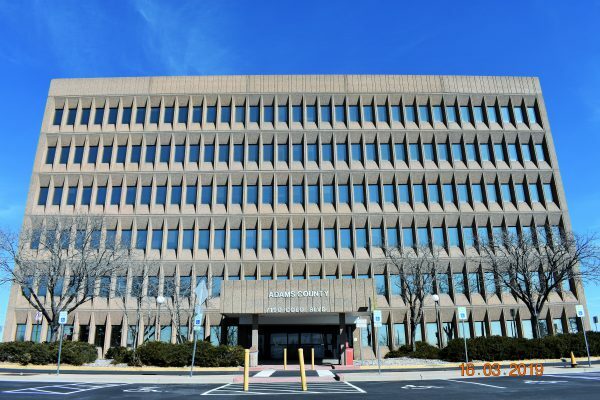 Established in 1998 (formerly Community Enterprise), Cultivando is a leadership and advocacy organization that works within Adams County communities to build strong leaders and advocates. Their work includes culturally-relevant training, fostering inclusion and self-advocacy around social equity and supporting the voice of community leaders to impact change. Unlike other social service organizations, Cultivando’s approach is to position Spanish-speaking Latinxs community members to become advocates for both themselves and their communities. Cultivando provides training by and for the Latinx community under the Promotora model. Promotoras are highly-skilled community members who have received training on topics including: local systems, policy change, health equity, and culturally-relevant practices to cultivate their internal leadership, emotional health and self-care to better assist their community. 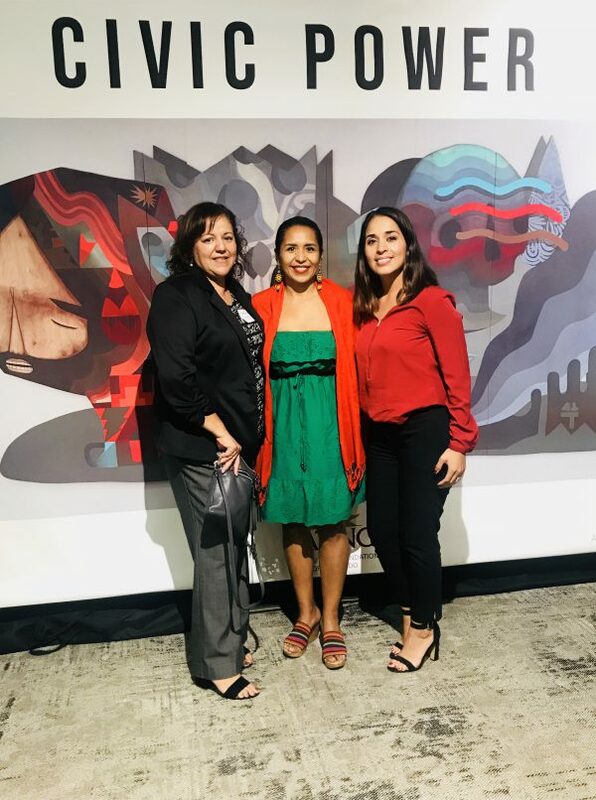 Cultivando’s Promotoras have worked with the Police Department of Commerce City and local government to ensure the Latinx community understands the relationship between law enforcement and local residents. Dispelling fear surrounding immigration and deportation is a large part of the Promotora’s social outreach and engagement efforts. Educating residents on various aspects of law enforcement is critical, as a fear of law enforcement often results in crime going unreported, putting the entire community at risk. In April 2016, Cultivando introduced the Abriendo Puertas Program, or opening doors in Spanish, with support from The Colorado Health Foundation. The program trained 20 prominent community members so they could then lead a 10-week training program for Latinx parents. By training community members to then train parents on topics such as leadership skills and knowledge, Cultivando is disseminating good health practices intergenerationally. A special focus of the curriculum is reinforcing cultural and linguistic pride and strength. 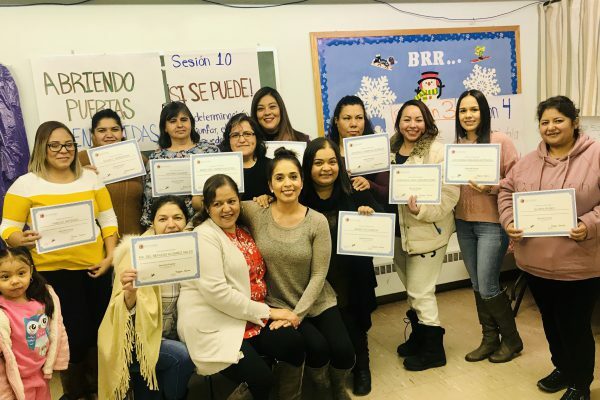 Similar to the Abriendo Puertas Program, Cultivando developed a training to help both parents and home care providers learn the tools necessary to encourage healthy eating, physical activity, literacy and kindergarten readiness. Cultivando also provides support to individuals who provide child care for families at their own residence. Cultivando arms providers the resources necessary to ensure they are providing nutritious meals and physical activity for the children. This work not only provides a dedicated source of income for these primarily female caretakers, but it allows parents who work outside the home to make a living. This symbiotic relationship is an important piece to supporting the local economy. In addition to promoting healthier living inside the home, Cultivando works to promote healthy outdoor activity. Cultivando collaborated with HEAL, a public health campaign organized by LiveWell Colorado, the Colorado Municipal League and founding funder Kaiser Permanente. Together, HEAL and Cultivando took collaborative measures to increase healthy food options and access to outdoor recreational facilities. This coming year, Cultivando will continue to seek input from the Latinx community to create more relevant, inclusive and accessible activities at local recreation centers, parks and open spaces. Despite Cultivando’s multiple instances of success, there are still many cultural barriers that bar the Latinx community from accessing the aforementioned programs and services. In 2017, Cultivando conducted a survey on behalf of the City of Thornton. In an effort by the City to better serve their Latinx residents, 350 individuals were surveyed. Based on the survey results, Cultivando formulated six recommendations for the city: increase inclusivity, widen the scope of language access, invite more diversity into the city planning process, host more culturally diverse events, improve relations between the Latinx community and the Police Department of Thornton and increase input from the Latinx community on policy solutions. Cultivando continues to work towards the overall health of Latinx communities despite inherent challenges. While Latinx communities still face barriers, Gonzalez’s outlook is positive. “We do service from the heart,” she said of her organization. Earlier this year, Cultivando relocated their office to South Platte Crossing, a nonprofit office building owned by Urban Land Conservancy (ULC). ULC acquired the 80,000 square foot space to preserve critical community serving space along a major transit corridor in Commerce City. As ULC’s first tenant, Cultivando will continue the tradition of community service in their new space. As for the community members, Gonzales boasted the importance of having a centralized location in an easily accessible location. The future looks bright for Cultivando. Gonzalez is leading the organization as its first Latina Executive Director and the staff is now 100 percent Latina. In addition to having a fantastic staff, Cultivando is creating a new Promotora curriculum specifically tailored to Colorado residents. As the partnership between ULC and Cultivando continues to grow, we recognize the importance of their role in the communities they serve, and look forward to learning of their continued success throughout Colorado. Cultivando would like to mention that they have meeting space available for rent. The space available is a large, open meeting room for 50+ people as well as a private conference room for groups of 20. The space is ideal for community meetings, staff training days, lunch and learns and more. Please contact Denise Romero at Denise@cultivando.org for more information and to book your space! To learn more about Cultivando, please visit www.cultivando.networkforgood.com.